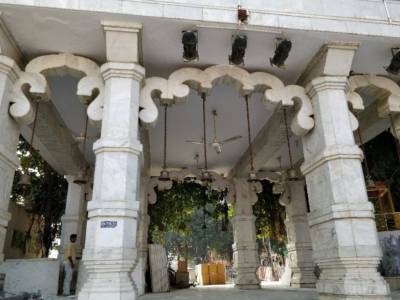 Jyotisar is birthplace of Bhagavad Gita, Lord Krishna delivered the eternal message of Bhagavad Gita to Arjun under the banyan tree in this place. 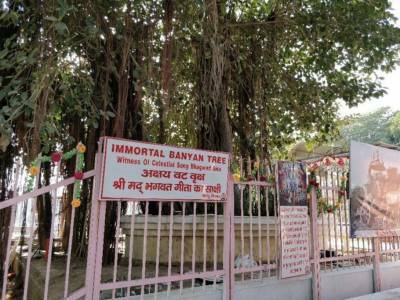 The Banyan tree under which the eternal message of holy Geeta was delivered on the Chariot of Arjuna is believed to be 5,000 year old and one of the oldest tree (which is immortal) of India. It is believed that Mahabharat started from Jyotisar. Jyotisar means “the Core meaning of light” which is ‘symbolic reference to god’ or ‘divine wisdom’ and It is also believed, the Great Sage Manu wrote Manusmriti in this place. The Rig Veda and Sama Veda were also composed in this place. This is the place where Lord Shri Krishna unleashed his destructive force and initiated the end of the dwapar yuga. 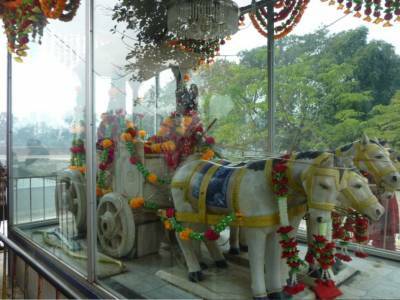 The most sacred spot in Jyotisar is under the ancient banyan tree and next to it a beautiful marble chariot with the idols of Lord Shri Krishna and great warrior Arjuna. During the November-December every year in Gita Jayanti celebrations are held here with immense religious fervor and dedication drawing people from all the places. 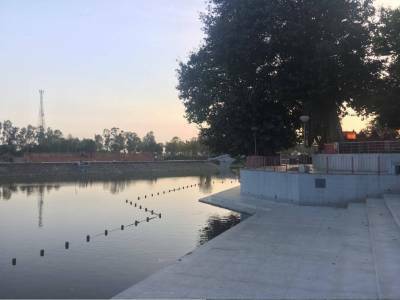 As per the holy vedas, Jyotisar is a very important place for Hindus and should be visit here by at least once in their lifetime. 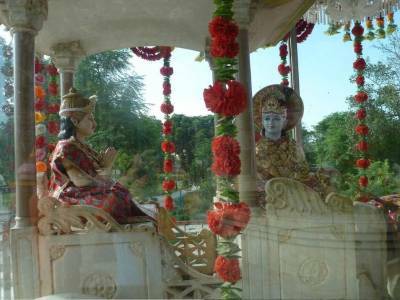 Jyotisar is about 8 kms from Krishna Museum and is easly accessible by buses from Kurukshetra central bus station. Jyotisar is about 165 kms from Delhi, about 104 kms from Chandigadh, about 47 kms from Karnal and about 62 kms from ambala city. Get quick answers from travelers who visit to Jyotisar Kurukshetra.